Living with the emotional side of caregiving is just as hard, if not harder, than managing the physical tasks. Our friends at Kindly Care share a personal story from Cassandra, who’s slowly losing her mother to dementia. Lots of people talk about the practical complications of dementia and Alzheimer’s, but few have addressed the true cost of these diseases to friends and family: effectively losing a person you love and rely on. For Cassandra Jones, that meant seeing her mother Deana – diagnosed with semantic dementia at just 50 years old – slowly drift away. Dementia is a progressive disease, and the medically-accepted stages don’t always arrive one after another. In fact, those living with dementia often slip in and out, lucid one moment and unaware of their surroundings the next. Now, Cassandra – with help from her sister, father, and volunteers from their church – provides daily care for Deana that even includes helping her shower. “It makes me wonder, how much does she know right now?” Does she realize what’s happened to her? Cassandra has a young family of her own, and not having her mom around as a sounding board has been particularly rough. Deana was “the strong one” in the family before her diagnosis, Cassandra said, describing her mom as “the rock and the comforter” that everyone could turn to. Not long after Deana’s diagnosis, the family suffered the loss of a young child, throwing the void left by her mom’s disease into sharp relief. “People see movies like The Notebook and they just think, oh dementia, that means you’re just forgetting who people are around you. But they don’t realize, and I didn’t realize, what this disease really entails,” Cassandra said. The real effect of dementia is to decouple those living with it from their entire world. “When people think about the disease, they associate it with just not remembering names and experiences. But it’s more than that; it’s about losing all of their knowledge of everything in the world around them.” This brings emotional isolation not only for the patient, but for their family as well. A dementia diagnosis is, for most, the first step on a long road toward the unavoidable loss of your loved one. The things that bind you together – hopes, dreams, memories, love – gradually fade away. 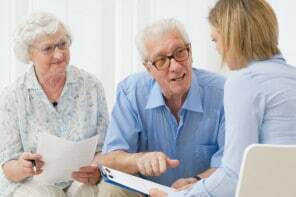 Guest contributor: Kindly Care helps families with the legal and safety implications of directly hiring their caregivers. Our services include household payroll, liability insurance, tax compliance, as well as a directory of thousands of pre-vetted caregivers.